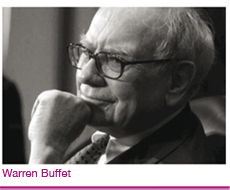 In his 2004 Chairman’s Letter at Berkshire Hathaway, Warren Buffet offered sound advice to those trying to find the best time to invest in equities: “be fearful when others are greedy and greedy when others are fearful”. For equity investing, this strategy seems to work very well. Selling at the end of a long bull run, just as others are piling in on the back of historical gains was the right strategy in 2008. Buying up distressed assets at a time when most potential purchasers are too fearful to move, keeping prices depressed, was surely the right strategy in the years that followed the crash. But is going against the grain also a winning strategy for private equity investors in high-risk biotech ventures? After all, there is usually a reason why the majority are doing what they doing. Some things are, quite simply, a better bet than others. In today’s highly connected world, information asymmetry is declining, and everyone assessing a particular asset will likely have similar information available to make the assessment, and as a consequence more likely than not will form a similar judgment. It is this kind of rational assessment of risk that have led to pharmaceutical companies favouring some indications over others: trials in cancer and rheumatoid arthritis proliferate, while new forays into coronary heart disease and sepsis have almost ceased completely. Quite evidently, that is a sensible reading of past performance of assets in these respective areas. But other factors re-enforce this initial polarization. You can short-circuit the need for expensive and time-consuming diligence around a class of assets if you just follow the crowd. In effect, the actions of others look like votes in favour of a particular drug target, indication or asset class. You might even trust the majority view better than your own analysis. In this way, the incisive movement of the thought-leaders is rapidly re-enforced by the following crowd. And for every “smart sheep” that follows the leaders knowing they have made a sensible judgment call, there are ten “sleepy sheep” who follow for a less noble reason. Safety. Even if you thought the leaders were headed for a cliff, you can relax in the knowledge that your boss cannot fault you for following such a large crowd. By contrast, striking out on your own is fraught with danger – if it goes wrong, you will carry the can alone. What a sight! A group of thought-leader “shepherds” all going in the same direction because they share the same information sources, surrounded by a flock of following “sheep” (whether smart or sleepy). Should you join them? You might think the answer to that question depends on whether they are headed for a cliff or the towards the Promised Land. But the decision isn’t that simple. For a start, there is no way to know where their eventual destination lies: indeed, the best available analysis of the direction in which to head has already been performed by the “shepherds”. So it is pretty unlikely that your outside analysis can repeatedly do a better job of assessing the real value associated with a particular type of asset. For the most part, therefore, you cant easily use your own assessment of the situation to decide whether to follow or not. But there is another issue to consider: competition. Assume for now that the rational assessment of the thought-leader is correct and clinical development programmes in RA are more likely to be successful than those in sepsis. Once everyone accepts that position, and directs their resources towards RA assets, two things happen: the price of securing a candidate asset in the ‘popular’ field goes up (and the average quality of what is available falls); and the exit values for the successful programmes are suppressed by the parallel success of the competition. After all, if, by the time your Phase II trial reads out positively three new products have reached the market, then the bar for commercial success has risen and the value of your asset has fallen (conceivably it could even have been rendered worthless). There are currently 229 active clinical development programmes in RA that are in Phase II or beyond. By the same criteria, there are only 6 active programmes in sepsis. Just how much greater does the chance of a positive trial read-out have to be in RA than in sepsis to justify such extreme “asset favouritism”? Even if the market for a successful RA drug is 5-times larger than for a sepsis drug (its hard to assess the market for a successful sepsis drug, since there are no real-world examples), then the chance of a successful read-out in an RA programme would still need to be more than 8-times higher than for sepsis. Maybe that’s a fair assessment – historically, sepsis trials have repeatedly failed, while at least some RA trials have been successful. But how extreme can this imbalance become before the “sensible money” starts to switch to the unfashionable option? That tipping point may already have passed. The “sleepy sheep”, who follow because they cannot be severely faulted for doing so, will keep the momentum firmly in favour of the conservative option long after a rational analysis suggests that the weight of competition has made an area commercially unattractive. The real question, then, is not a simple comparison of the risks associated with an asset assessed in isolation. The context is important too. If everyone else is trying to develop the same product then the bigger risk is that, despite being successful, your product is no longer competitive. Where the competition is hottest, success is no longer enough – you have to “win big” to win at all. By contrast, a much more modest victory in an uncontested landscape is likely to reap a worthwhile prize. But if we are going to seriously consider previously unattractive areas, such as sepsis, we need to understand why they became unpopular in the first place. Perhaps the reasons that trials in a particular area were relatively unsuccessful ten years ago has gone away with improved understanding of the disease in the intervening years? Perhaps we can see a clever solution to the particular problem that has previously contributed to the high failure rate? In the case of sepsis, for example, improvements in clinical trial design may finally allow success where previously failure was the norm. Indeed, this reveals another, much subtler, force that drives “asset favoritism”: the more trials that are done in an area, the more knowledge builds up that informs future trial design. In short, just being popular means the tools available in that area are likely to be better honed. Commercial investors, with their eyes firmly on future returns seem slow to react to the dangers of “asset favouritism”. One venture capital investor recently said to me “Mentioning sepsis, even if it is to tell me you are NOT going to do trials in that area, is enough to be shown the door – if you thought about doing sepsis long enough to reject the idea, then you spent too long thinking about sepsis.” With such extreme prejudice its hard to see the current imbalances evening themselves out any time soon. But maybe others, with a different agenda, can help. The UK government recently announced a scheme to fund research into biomarkers and clinical trial design in sepsis. Perhaps charities, such as the British Heart Foundation, can bring their not inconsiderable muscle to bear on similar issues that hamper investment in potential cardiovascular drugs. The Michael J Fox Foundation has had the foresight to focus its funding on de-risking clinical trials in Parkinson’s Disease. In the end, it is in everybody’s interest that the imbalances that have built up in the biotech world, with an ever greater fraction of the available capital chasing a narrow group of product candidates, are brought back into equilibrium. If they are not, average returns will surely decline further, which is bad for investors. And whole areas of medicine, where the need for new products is acute, are left underserved, which is bad for patients. Markets are meant to match solutions to problems, but the heavy burden of the ever larger flock of “sleepy sheep” threatens the efficient functioning of this particular marketplace.